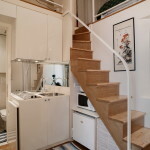 The Sistina Apartment is located on the third floor (with elevator) of an elegant building. Recently renovated with particular taste and attention to detail, the apartment has a modern conception and is very functional. The parquet floor, together with a large window that overlooks a quiet courtyard, makes the apartment very bright and pleasant. 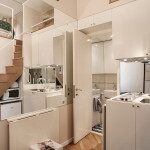 The entrance opens into a hallway with a living area and a kitchenette, with a table for two with chairs and a sofa bed. 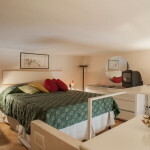 It is equipped with a refrigerator, microwave, hot plates and everything you need to prepare a romantic dinner for two. Modern bathroom with shower. 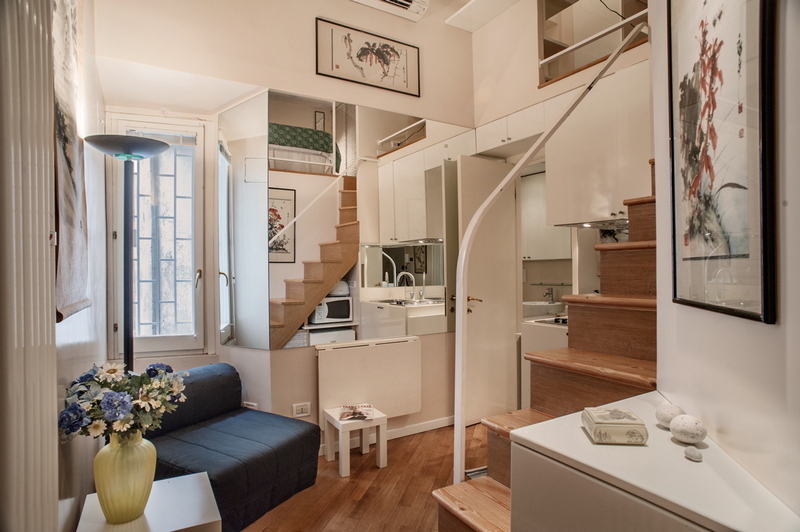 Above the entrance there is a spacious loft, accessible through a wooden staircase, a cosy sleeping area tastefully decorated. 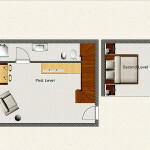 It includes a double bed, two bedside tables, a dresser and a table for personal items, with wardrobe and study area. A TV and a stereo complete the decoration of the bedroom. 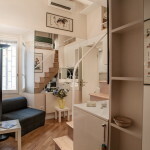 The apartment is equipped with Air Conditioning, Heating and free Wi-Fi, and it has everything you need for maximum comfort to make your stay in Rome truly enjoyable! 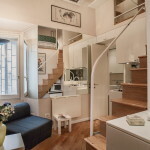 Charming and cosy apartment in the heart of Rome a few steps from the Spanish Steps, the Trevi Fountain and Villa Borghese. 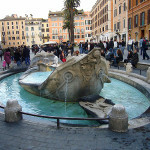 Within about 15 minutes of walk you can reach from here all the major tourist attractions of the city centre, including the Pantheon, Piazza Navona, Campo de’ Fiori. If you prefer to use the public transport, close to the apartment in Via Tritone there are bus stops which take passengers in the most interesting parts of medieval Rome and many main attractions. 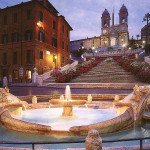 In addition, the area is densely populated by wine bars, cafés, restaurants and trendy bars, ideal to enjoy a cappuccino or a good Italian wine, as well as the Sistina Theatre. Opened December 28, 1949 as a movie theatre and designed by architect Marcello Piacentini, is characterized by a room (28 meters wide and 30 deep) without columns and other structures, which allows a perfect view from every seat. There are stores of various types and for all budgets.